Get notified when Dave Matthews Band tickets are available! The Dave Matthews Band known to fans as DMB is American band that plays music usually classified as fusion of rock, folk, alternative and blues. The band got together in 1991 and released their first album with a record label in 1994. 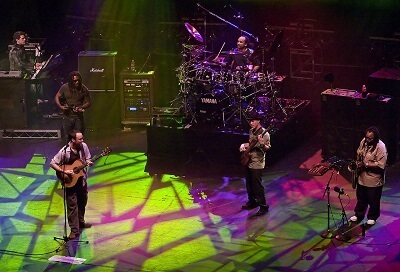 Some of the most well known songs recorded by the Dave Matthews Band include “Crash Into Me,” “Ants Marching,” “Space Between,” “You and Me” and “Where Are You Going.” The Dave Matthews Band is known for putting on a very entertaining concert, and the band typically tours the U.S. every year. You can check them out live by using the links above to buy Dave Matthews Band tickets online.